I am always attempting to recreate healthier versions of my favorite foods. I think I have succeeded with these turkey sausage meatballs! My husband and son absolutely love them, and I think they are pretty tasty, too! 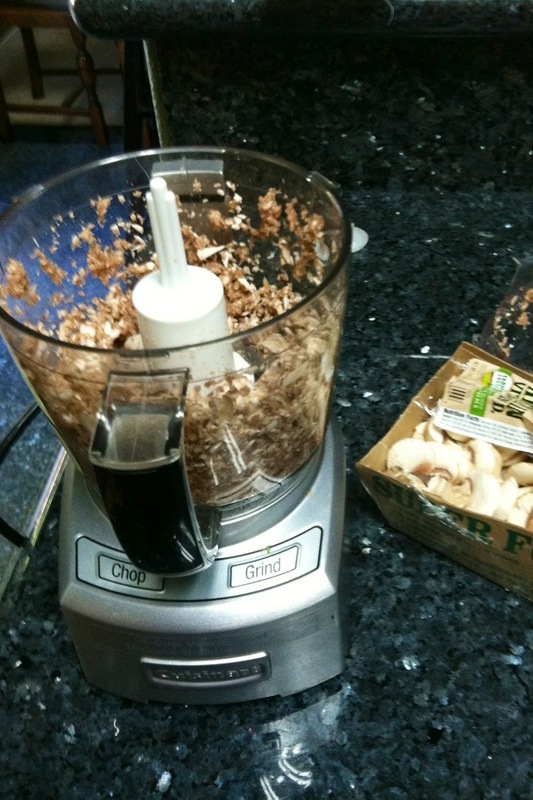 Chop all of the vegetables, parsley, and basil in a food processor. I used a small 4 cup processor and it worked great. Pour into a large mixing bowl. 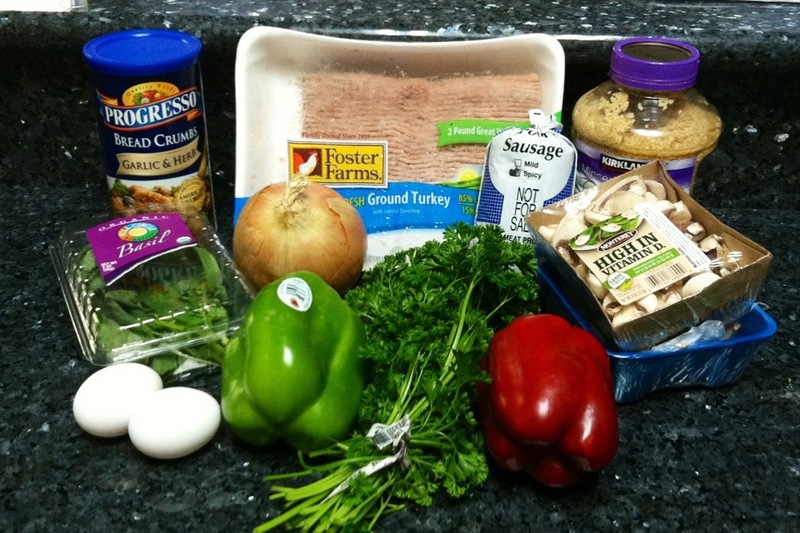 Thoroughly mix ground turkey and sausage with chopped veggies, bread crumbs and eggs. I would recommend adding one egg and if the mixture seems thick enough, don’t add the second egg or just add extra bread crumbs. I use my hands, the meat is always so cold that my hands go numb, but I haven’t figured out a better way. Maybe next time I will try mixing in my Kitchen Aide professional mixer!?! 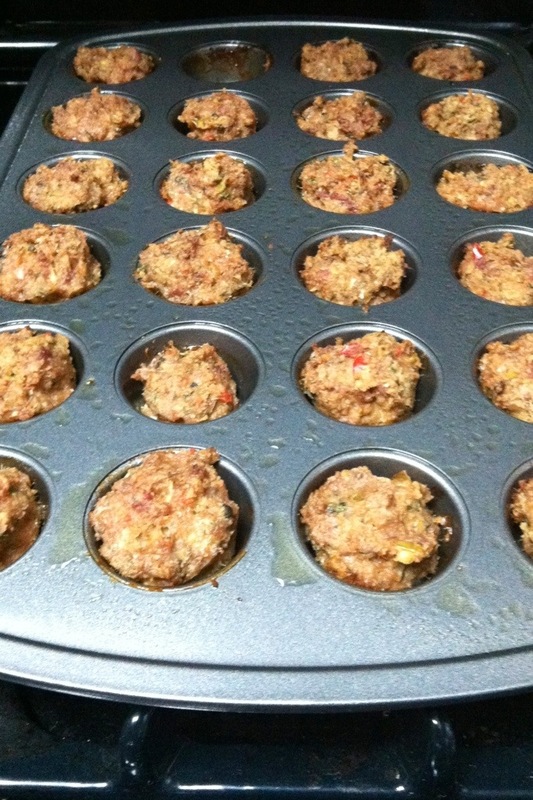 Spray muffin pan with non-stick cooking spray (I use Pam) and fill pan with meatball mixture. I used two of these mini-pans and two regular muffin tins. 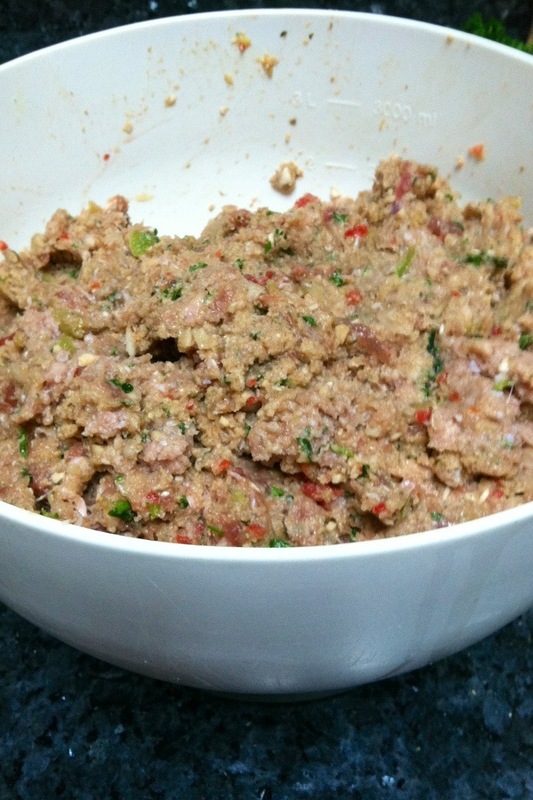 If you are in a rush, you can make the mixture into a meatloaf in a large baking dish. Bake meatballs at 375 degrees for 30-35 minutes. Meatballs in the mini-pans will cook faster than the regular size pans. These meatballs are very versatile. I make them with spaghetti and red sauce, mashed potatoes or quinoa and veggies, or I’ve made meatball sandwiches with this recipe. Give these a try, you will love them! Great recipe, I can’t wait to try it. It sounds very healthy & easy. 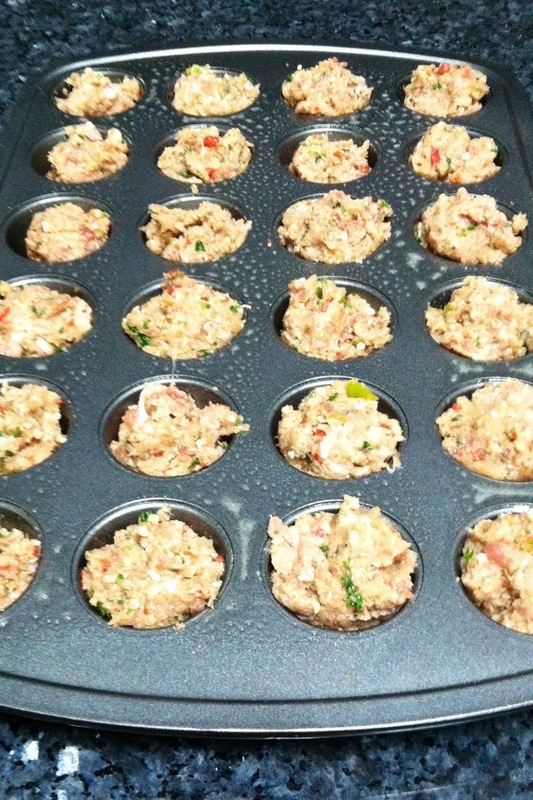 I like the ease of using the mini muffin pans, very clever! You’re too sweet mom! I learned from the best!